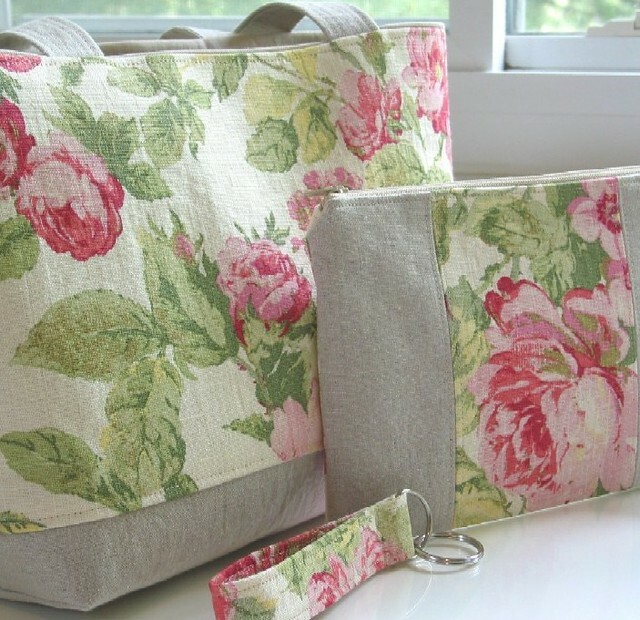 Pink Roses and Linen Tote/Wristlet Set | Flickr - Photo Sharing! I love making coordinting accessories to go with my tote bags. I even made a pretty little key fob for this one. Fabi Pires, southernscraps, and 15 other people added this photo to their favorites. gorgeous! I loved this rose fabric. Hi, I'm an admin for a group called home dressing, and we'd love to have this added to the group! You can't go wrong with pink roses and linen. That fabric is beautiful; love the linen.